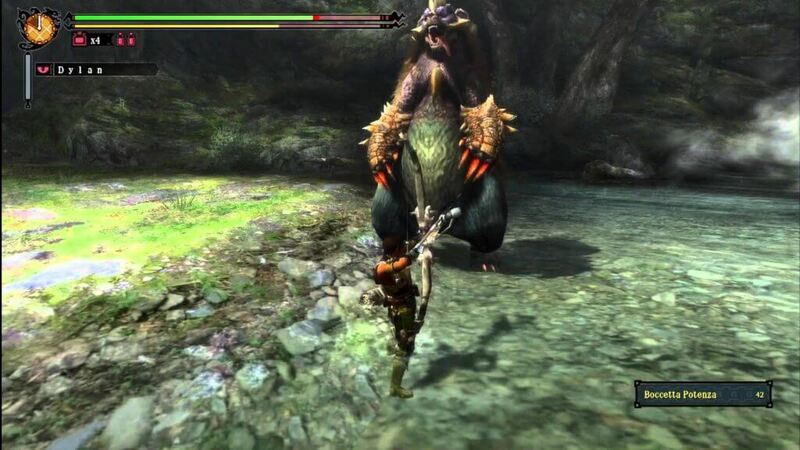 If you are new to the Monster Hunter series, there is one thing you must know before picking it up; it is a game that takes absolutely no prisoners. You won’t experience any tutorial hand holding. You’re asked to pick a weapon to start with and that is about it. If you run in head-first and unprepared be ready to die, a lot. But it is an incredibly vast and deeply rich adventure that directly rewards the effort you’re willing to put in. Exploring, farming and “grinding” are integral to Monster Hunter; features in some titles that can lead to dangerous tedium, yet form the basis of an immensely entertaining game in this case. These elements are packaged in a superbly polished world full of varied environments to explore, populated by NPC’s and the army of gargantuan monsters alike. The locales you’ll hunt in may be slightly predictable in regards to their themes, (a forest area, a desert area, an arctic area) but they are a genuine pleasure to explore and gather. The people that inhabit Moga Village are all colourful characters, injecting light-hearted humour and often making you laugh out loud. These things all lend to the atmosphere of the game, forming an incredibly engrossing experience in pretty much every aspect. Visually, it is a stunning game. The graphics are sharp and crisp; with minimal frame rate issues, even with screen filling monsters running about. The display HUDS and bottom screen panels are fully customisable, which is a nice touch (personally I like to keep the top screen clear) enabling you to tailor exactly what you want to see and making items easily accessible. Capturing and hunting the vast array of monsters is the base appeal of Monster Hunter (goes without saying really! ), but the real pleasure resides in the chase and preparation for these epic battles. Throughout the course of exploration you’ll learn the shortcuts, where certain creatures may spawn, where certain plants grow, where to catch bugs and even memorising item combinations. It’s exploiting the opportunity to stock up and encounter certain monsters outside of quest settings that adds another level of depth. There’s a real deep satisfaction in learning the movement and attack patterns of your next hunt target before you face it in the field. The ridiculous amounts of weapon and armor available for the dedicated hunter is phenomenal. This coupled with the equally wide scale for customization and it’s almost like a mini game in itself, adding yet another layer to the preparation needed. As well as upgrading and adding skill-enhancing decorations to your armor/weapons, you can also forge your own if you have the right materials. As you get further in the quests you’ll face beasts with elemental attacks and weaknesses, so there’s a necessity to crafting a range of weapons and new armour to avoid getting battered! However, despite the many positives, there is an elephant in the room – the camera and its control scheme. Putting it bluntly, it’s absolutely awful. When you’re hunting on flat land it isn’t a massive issue as tapping L centres the camera behind the player, but it becomes nigh on unplayable when fighting underwater. You can control the camera with the D-pad or a virtual D-pad on the bottom screen. This works relatively well in theory when you’re sedately collecting and gathering, but not so much when the Lagiacrus is trying to eat your face. Now I’ve played Circle Pad Pro compatible games such as Resident Evil Revelations and Metal Gear Solid 3 and not a problem at all, but I have to concede defeat this time. 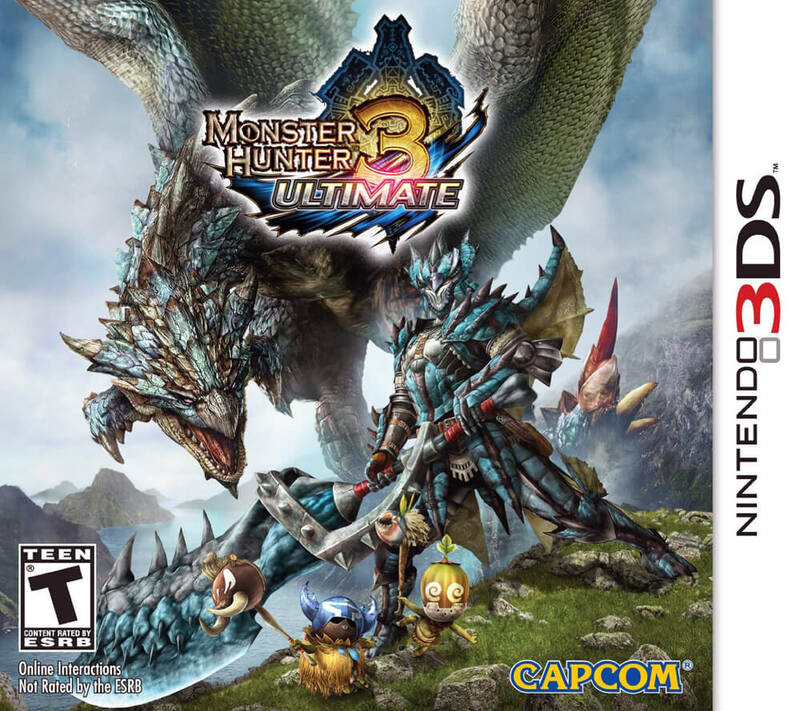 Another issue that raised criticism from die-hard fans was the lack of online co-op play in this 3DS version, especially as Monster Hunter is known for having one of the most dedicated online communities. However this has somewhat been remedied by being able to link up with the WiiU version to join in the hunt. All in all Monster Hunter 3 Ultimate is one of the best titles available on the 3DS at the moment. If you can overlook a sometimes shoddy camera system and aren’t too bothered about the lack of online co-op, then I would absolutely recommend it. It’s an addictive and absorbing game full to brim with personality, charm and longevity to boot. A must-own for the serious 3DS gamer.